Cables: 47 Laboratory OTA Cable Kit; Nirvana S-L & S-X interconnects, S-L speaker cables, Duo wiring harness, and Transmission Digital Interface; Cardas Neutral Reference digital cable, Auditorium 23 speaker cable [on extended loan]; Tom Evans Audio Design interconnects. In case you're not familiar with Origin Live, let me give you a little background before I do the deep dive on the Silver MkII tone arm. Located in the UK at Southampton, Mark Baker founded Origin Live in 1986 to make speaker and interconnect cables. Mark then added isolation tables, speaker stands and turntables to his lineup and eventually a range of loudspeakers he designed. 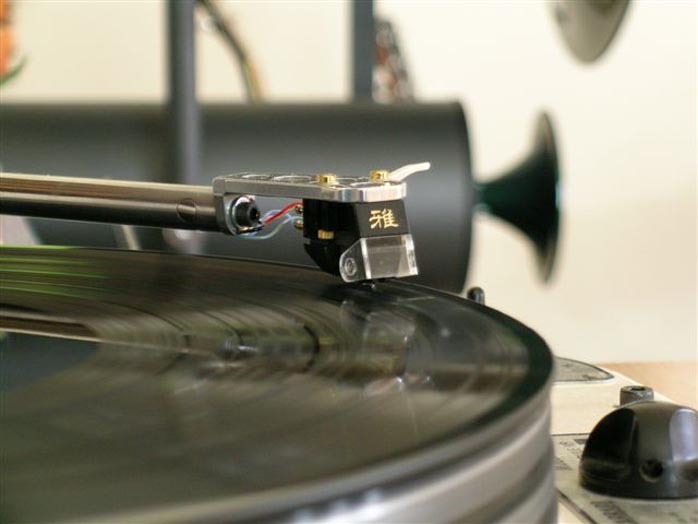 These days, Origin Live manufactures their own line of high performance turntables, tonearms, power supplies and various accessories that are offered through dealers and their own website. 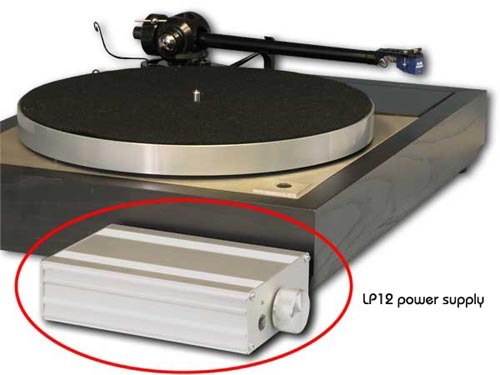 Origin Live also has a well-deserved reputation for modifying and hot-rodding competing turntables like the Linn LP12 and tone arms (Rega) to substantially improve stock performance. To complement their manufacturing and modification work, they also recommend and make available to their customers a hand-picked selection of products made by other manufacturers which they feel work exceptionally well. You can read more about those on their website. Mark's ultimate goal for his Origin Live products is to provide his customers top-notch performance and high value. No glitzy boy toys here. Mark likes to keep his designs as simple, well-engineered and high-quality as possible for the money you spend. He eschews flashiness or questionable features, relying instead on proven high performance principles so that each step up in his product line yields a demonstrably higher performing product and return on the investment. Mark has earned an enviable reputation for customer satisfaction by offering products that are reliable and offer class leading performance at a reasonable cost with both his own designs and the modifications, kits and upgrades offered for others. 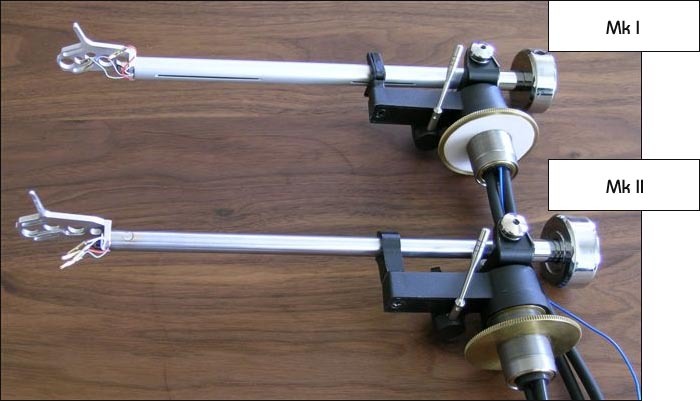 The Silver MkII tone arm is the next model up from the entry level OL1. 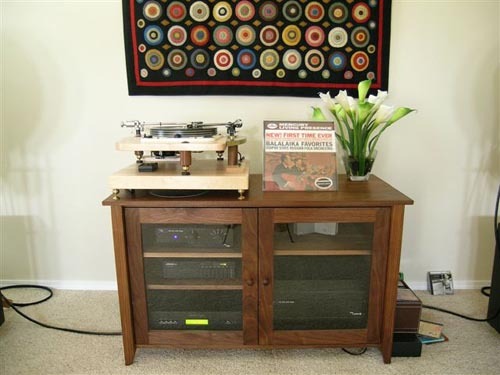 Both are based on modifications to the very successful Rega RB250 Series tone arms of which over 300,000 have sold. Origin Live performs a structural upgrade to the rear of the arm stub where the counter weight attaches, claiming it provides an audible 70% improvement over the stock Rega. They remove the rear stub and replace it with a new one that torques on and is held in place by a thin and highly tensile bolt. Origin Live explains that the new stub has low contact area with the arm tube which in turn provides a measure of decoupling while at the same time being more rigid than the original, the combination of which yields big sonic gains. The Silver MkII also replaces the stock bearings with horizontal bearings located in the yoke rather than arm. 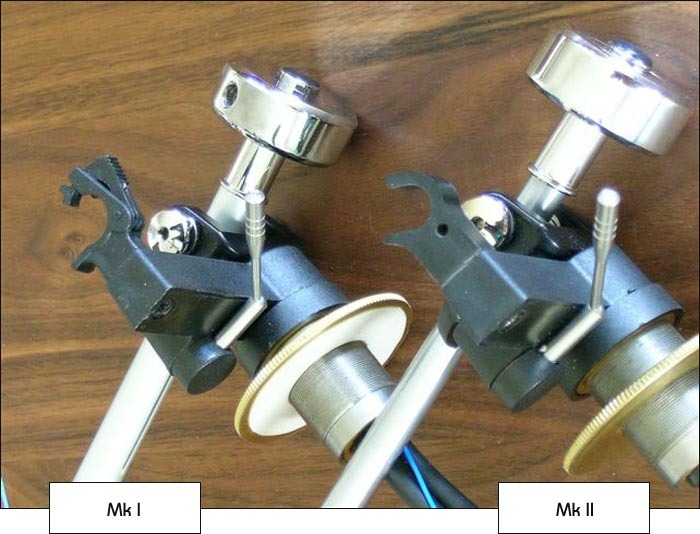 The Silver MkI had a slotted 11mm wand to reduce ringing effects to improve "musical transparency and incisiveness" while giving a more natural decay. Origin Live said the slotted wand made a 55% sonic improvement. However, the Silver MkII replaces the MkI wand with a new 10mm wand of a different material without slot! No word on what percentile improvement the new magic wand brings to the table. On close inspection, it's apparent that the head shell as well is quite different in shape and layout as well as using a different style of mounting bolt. The MkII has a different arm rest too. It's simpler and easier to use than the MkI's. considered by many to be the best of the best. However, Eichmanns are also somewhat fragile so perhaps long term durability was the reason we no longer find them on the MkII links. Origin Live designed the Silver MkII to compete with tone arms such as the Linn Ekos, Naim Aro, SME V, Graham and the like - but at a considerably lower cost. The Silver MkII tonearm sells for £599 in the UK, with an export price of £509.79/$960. For those who already own a MkI, £150/$282 upgrades it to MkII status if you're so inclined. when paired with the 47 Labs MC Bee cartridge and the Tom Evans Audio Design Groove+ phono stage. During a listening session, my buddy Pete said "it's like listening to a master tape" and I wouldn't disagree. It was a stunning combination. 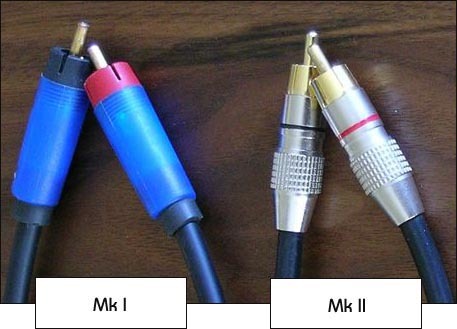 Over time I realized that the Silver MkI had a flaw in its highly polished performance to keep it from universal greatness: while stunning with medium compliance cartridges like the MC Bee, it didn't do as well with low compliance cartridges like the Denon 103, Miyabi Standard or Miyabi 47. The MkI added a bit of edginess to the presentation that didn't really allow me to relax into the music the way I'd have liked to with those low compliance cartridges. That won't perturb those who already pair a medium compliance cartridge with the Silver MkI. But if you use a low compliance cartridge, you're not getting all the musical performance you paid for. The good news is that the Silver MkII resolves that low compliance compatibility issue with its new arm wand. It now likes both the low and medium compliance cartridges I tried with it equally. Given that you can update your Silver MkI to MkII status for very little, that's a no-brainer if you like low compliance carts. 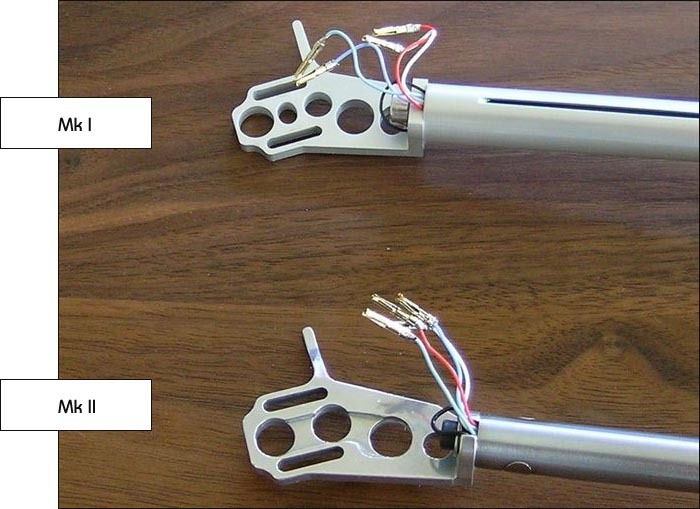 When I looked at the Silver MkI and MkII side by side, it was readily apparent that the headshell and arm tube seemed considerably heftier and stiffer on the MkI. I have a hunch that the MkI arm might be too stiff to be at its best with low compliance cartridges. It reminds me of what happened with early Cannondale attempts to combine light weight and stiffness in their bicycle frames by using stiff aluminum tubing. They rode intolerably rough. Before aluminum frames were dialed in to get rid of this roughness, designers and riders resorted to titanium and carbon fiber frames to get low weight, stiffness and the suppleness of ride comfort those materials so easily provide. By analogy, I think the MkI wand may have provided too stiff a ride for those already stiff low compliance cartridges, causing them to sound a bit rough-riding and edgy. Take for example the warmish, colorful and musical Miyabi 47 cartridge reviewed in September 2006 (a shoo-in for my Best of 2006 picks and my favorite cartridge to date). With the low compliance Miyabi 47, the stiff-riding Silver MkI arm made the music sound a little edgy and fatiguing. Every visitor to my listening room preferred the less expensive, less rigid Origin Live MkI for its smoother, more laid-back and more natural balance on the Miyabi 47. The OL1 wasn't as transparent as the Silver MkI though and a fair amount of music went missing by comparison. The OL1 didn't sound as dynamic either and its bass response wasn't as tight and powerful. But it was a better match for the low compliance Miyabi 47, Denon 103 or Miyabi Standard. With the medium compliance 47 Labs MC Bee, the Silver MkI arm wiped the floor with the OL1, using its greater transparency, superb tonal balance and tighter and deeper bass to excellent advantage. The moral of the story? With the Silver Mk, I low compliance cartridges are not the best match while medium compliance cartridges are. The new MkII wand is noticeably thinner and looks titanium though it's probably not. But just like in the bicycle frame analogy, the "titanium" arm works magic on low compliance cartridges like the Miyabi 47. The suppler ride allows the full glory of the warm, colorful and enchantingly musical 47 to come through, leading audio pal Stephæn to declare that it was the best he'd ever heard my system play music. He was exactly right. The Silver MkII arm had transformed the music-playing ability of my system with the Miyabi 47. The changes to the MkII arm resulted in an overall presentation that was amazingly transparent, detailed and nuanced yet still tonally rich and colorful. The arm was capable of revealing the smallest dynamic gradations in the nuance of notes in the pianissimo range, with even very fine shifts all the way up through macro forte swings. The fact that the MkII displayed such agility across the dynamic range was particularly impressive in showcasing the abilities of the Miyabi 47's design priority of dynamic linearity. Rather than provide litanies of album impressions, let me just give you the straight conclusion: the Origin Live Silver MkII is one helluva good tone arm and easily bests the preceding MkI. The II clearly displayed the character of any cartridge mounted to it with a level of transparency that was spectacular yet still preserved the cart's musicality as with the Miyabi 47. Timbre is spot on and very natural, tone is represented with the beauty it should have. It nailed my music lover's criteria of being able to present all of the emotive clout of a performance without ever drawing my attention away with the snap, crackle and pop of sonic overemphasis silliness. That's not to say that the MkII doesn't do the sonic audiophile thing of imaging, soundstaging, and the like extremely well. It does. It just happens to do it while preserving the musical message, which for my preferences is the most important factor. The bass response is deep and tuneful, giving the music plenty of forward drive when it's on the album. Just like Harry Potter's magic wand, the new arm wand of the Origin Live Silver MkII casts a magic spell on cartridges of both low and medium compliance persuasions to get the best from either. Unlike Ron Weasley's MkI, the II never seems to misfire or create mischief. As such, the new Origin Live Silver MkII is hereby recommended to aspiring audio wizards everywhere. If you have a MkI and are completely happy with it, I would hold with the hand you have. However, if you're looking for an extra touch of musicality and would like to explore the musically magical world of low compliance cartridges, you couldn't spend your money better than updating to MkII status. 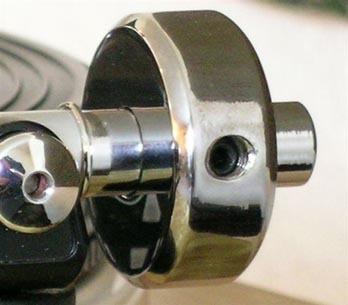 If you're shopping for a relatively inexpensive tone arm with exceptional performance that excels in both sonics and musicality, you simply can't go wrong with the Silver MkII. 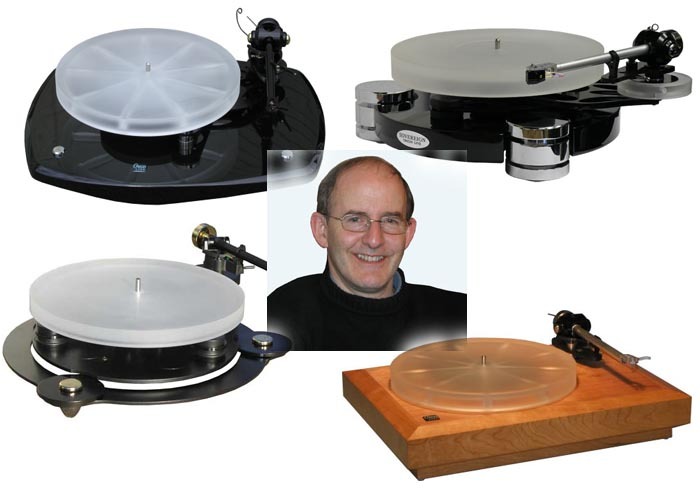 I'd like to thank Mark Baker for sharing his Origin Live Silver MkI and MkII tonearms with me and our readers during the lengthy writing process of the Garrard Project series and the parallel and subsequent standalone tone arm reviews. The Silver MkII is not only a worthy successor but for my tastes outperforms the MkI in every way, making it an easy early nominee for my personal Best of 2006 list here at the moons. Peace and prosperity to you all.